In every business, from the small corner store to the large manufacturer, there are common challenges with insurance, claims, and risk in general. Buildings can be damaged by fire, someone could slip and fall, vehicle accidents often occur, or losses can occur as a result of defective products. Now, more than ever, it is vital to the success of an organization to understand risk management and to learn to control liability. Contained below is all the information you need to understand the insurance market and to get you started with risk management. Everyone knows what risk is; we use the word everyday and take risks regularly, whether we realize it or not. In every decision you make, when assessing the pros and cons, you are also doing a risk assessment. The challenge is to make it a more conscious process where your business is concerned. So what is risk management? Risk management is the process of making and carrying out decisions that will minimize the adverse effects of risk on an organization. The adverse effects of risk can be objective or quantifiable like insurance premiums and claims costs, or subjective and difficult to quantify such as damage to reputation or decreased productivity. By focusing attention on risk and committing the necessary resources to control and mitigate risk, a business will protect itself from uncertainty, reduce costs, and increase the likelihood of business continuity and success. A risk exists where there is an opportunity for a profit or a loss. In terms of losses, we commonly refer to the risks as exposures to loss, or simply exposures. A fire is an exposure. Defective products or defamation are liability exposures. The loss of business that results from a damaged building or tarnished reputation is also an exposure. Probability is the likelihood of an event occurring, and severity is the extent and cost of the resulting loss. Pure Risk - Risks where the possible outcomes are either a loss or no loss. It includes things like fire loss, a building being burglarized, having an employee involved in a motor vehicle accident, etc. Speculative Risk - Risks where the possible outcomes are either a loss, profit, or status quo. It includes things like stock market investments and business decisions such as new product lines, new locations, etc. Many businesses do things to prevent losses or mitigate risks every day but don’t think of it as risk management. Most prudent business people and managers take great care to do things like prevent accidents, protect property, and keep customers and employees from harm. Any effort to manage risks is positive. It is important, however, to follow a formal process to ensure consistency and thoroughness. The following are the essential elements of the risk management process. Insurance is a mystery to many people. Simply put, an insurance company pools the money of a large group and promises that if one of the group suffers a predefined loss, then the pool will pay for the loss. Business owners and individuals trade off the affordable cost of insurance for the peace of mind that a large loss won’t mean financial ruin. If an insurance company makes a profit before considering investment income, it is called an Underwriting Profit. The converse is an Underwriting Loss. 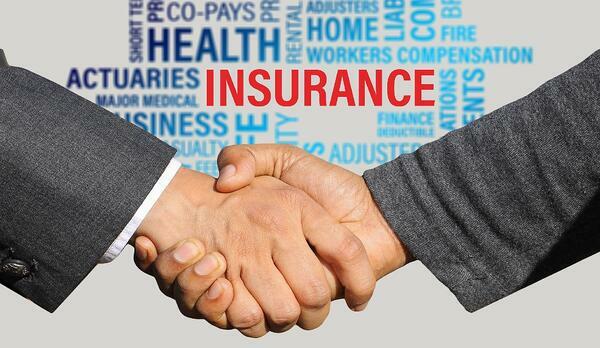 Underwriting is the decision of what to insure and for how much. If the underwriters do their job well, then the insurance company should be able to anticipate how much it will pay in claims and expenses, and charge a commensurate premium that allows for a profit. This, however, is rare. Most insurance companies make their money in investment income. They take in large quantities of money in insurance premiums and invest it. They rely on the fact that there is usually a long time between when premiums are collected and when losses are paid. When insurer ROE (return on equity) is high, then insurers can take underwriting losses and still be quite profitable. When ROE is low, they look for higher premiums to recoup past losses and to pay for future losses. When insurers go through a few years where claims are high and ROE is low, they raise rates to make up for past losses. Then, when they’ve had a few good years, they get competitive again and start lowering prices. After a few years, they again feel the impact of the low premiums and high claims and have to raise premiums. And on the cycle goes! When you are the one paying for these premiums it can get very frustrating and challenging to budget for. Insurance rates can vary 100%, 200%, 300%, or even more from the top of the cycle to the bottom. When you go to renew your policy or shop around for other insurers, they look at your loss ratio. They consider the premiums you’ve paid compared to what you’ve cost them in claims. If you’ve had a good loss ratio, then in the long run you should achieve better terms and price. If you’ve had a bad loss ratio, then you may pay higher rates, have exclusions added, have limits reduced, have deductibles increased, or not be renewed. What constitutes an acceptable loss ratio depends on the insurance company, the type of business, and many other factors, but obviously the lower, the better! It's important to note that insurers don’t have to insure your business. There may be some exceptions where regulators make it mandatory to insure certain types of risk, but this is rare. Since they don’t have to insure you, it is important to make sure you are one of the good risks that they want as part of their book of business. Claims - Generally, if your claims consistently cost the insurer more than the premium you pay, expect an increase. Industry - The type of business you are in affects your premiums. Loss Control - If your business has safeguards in place against loss then insurers will look at you more favorably. Sprinkler systems, alarm systems, safe driving policies, contractual risk transfer, etc., will all likely warrant premium savings. Operations/Processes - This covers a lot of ground, but essentially your business will be rated based on the types of processes you employ and the risks associated with them. Deductibles - You can, in most cases, have a choice in the deductibles on your policies. The general principle is the higher the deductible, the lower the premium. Policy Limits - The amounts that you choose as your policy limits will affect your premium. Coverage - A lot of the coverages you have will be essential for your business. However, sometimes coverages are in places that are not required. It is a good idea to go through your policy with your broker every few years to identify any unnecessary coverages. Values Insured - Obviously, the higher your insured values, the higher your premium. Make sure your values are accurate. Risk Management - Insurers take into consideration the risk management of an organization in determining the premium. It probably won’t result in any specific discount, but an organization with strong risk management practices and a proven track record in managing risks will be looked upon more favorably by insurers. Risk identification: It is a good idea to chart your risks in a way that allows you to identify the more common and serious risks so that you know the areas to which you need to commit resources. Quantify and prioritize: Risk mapping is one way to do this. Essentially, you chart all of the identified risks on the map. The map will make you aware of those risks on which you need to focus. Work with your broker to make sure that you are covered for all of the appropriate risks and look for ways to prevent and mitigate these risks. The image on the right is a sample of a common risk map. 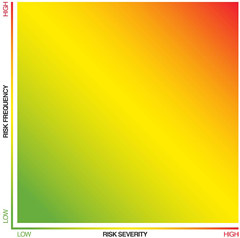 However, risk maps are often altered to reflect organizational needs. Be risk sensitive, not risk adverse: Being risk sensitive is not the same as being paranoid. Realize that there are risks associated with everything. Take a deliberate and methodical approach to dealing with risk, while at the same time being realistic. Identify risk in business decisions: Identifying risks in business decisions is much the same as with the process of identifying any risk. The key is to be thorough and use all the sources available. 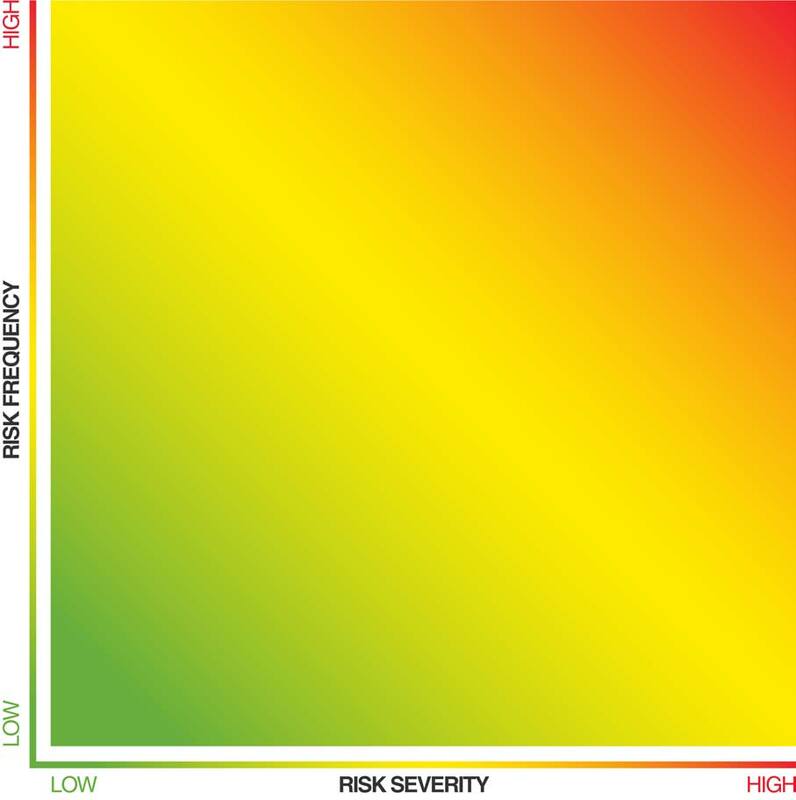 These risks can be prioritized and mapped in the same way as all other risks. Old insurance policies are valuable and should be kept. Consider old insurance policies and insurance certificates as assets. They are your proof that coverage existed and they set out the terms, conditions and limits of coverage. Many liability policies are occurrence-based. This means that a loss claim is made against the policy in place at the time of the occurrence responsible for the loss. It is possible for a significant time to have passed between the actual occurrence and the eventual loss. Without the old policies, there is no proof of coverage and it is likely that the insurer responsible at the time in question will be forgotten. Don't over or under insure your property. Either way, it could cost you money. Make sure that the values you report to the insurance company are accurate. Some insurers and brokers may provide building valuations, so ask. If you aren’t sure of your values, have appraisals done. If you value a building at $1.2 million that is actually only worth $1 million, you are paying a premium on the extra $200,000 needlessly. It is also important that you don’t understate your values since you can be penalized for partial losses. This is where the coinsurance clause comes in. Almost all policies have this type of clause. It requires you to insure a minimum percentage of the total property value. Property policies can be based on the ACV of the property or the replacement cost. Replacement cost does not take into consideration depreciation, whereas ACV is the replacement cost less depreciation. Even new items can be depreciated. If you have a replacement cost endorsement, the insurer will first pay you based on the depreciated amount. After you’ve replaced the items and submitted the appropriate receipts, you will be topped up to the replacement cost. It can be very time consuming and difficult to itemize lost property after a loss has occurred, so keep an ongoing inventory with values. Ask your broker whether actual cash value (ACV) or replacement cost suits you best. Prioritize your risks to know where best to spend your loss prevention dollars. It is a good risk management practice to allocate money and other resources to loss prevention every year. Study after study, no matter what the subject, illustrates that money spent on prevention is saved many times over. Once you have completed your cost of risk analysis and risk mapping, and have prioritized the risks, you need to look at the costs associated with these risks compared to the costs associated with implementing prevention techniques. Decide, based on your budget, how much to invest. Image risks are often underestimated. Protecting your company’s image and brands is essential. Part of any risk assessment should include consideration of risks to your image. Damage to reputation often goes hand in hand with a loss; so include image risk management in claims handling procedures and business continuity planning (BCP). Communication with customers and the public is key, so have staff trained in crisis management or consult a crisis management expert and/or an image consultant. Sell yourself to insurers at every opportunity. Most businesses perform risk management functions without being aware of it, or without thinking it relevant enough to tell insurers. A big part of my job as a risk manager is to brag to my insurers about my organization. You should do the same! Make sure you tell your insurer (through your broker) about all loss control/prevention measures in place, policies and procedures, physical protection, contractual transfers, etc. Give them copies of any policies, inspection forms, accident reports, training programs, etc. Sell your organization! Remember, not only are they competing for your business, you are competing with all the other businesses for their capacity and for favorable consideration. Incorporate a risk management attitude/awareness into all aspects of the business, i.e. hiring, acquisitions, training, decisions, investments, etc. Large risk managed organizations do this and so should you. It doesn’t mean you need to spend large amounts of money or time; it’s just about having top of mind awareness about the potential risks and associated costs when making decisions. Constantly work on building your relationships. If you are in business for yourself you don’t need a lesson in relationship building. However, some people have a tendency to get into confrontational situations when it comes to insurance and claims. You don’t want them thinking you are hiding something or being dishonest. That’s one thing that insurance/claims people have no tolerance for. Loyalty is important, but shop around occasionally. There are pros and cons to staying with an insurance company for a long time. Long-term customers tend to get preferential treatment, may get better rates, develop a rapport with the service providers, and may be given other perks. However, it is a good idea to look around every two to three years, or if you’ve gotten a big rate increase or unsatisfactory service. Insurers don’t generally like customers who change every year. They prefer long-term customers. If you change often, you might find that some companies don’t want your business. Also, if you’ve had a lot of claims, it’s probably a good time to stay put until you can get the claims under control. If you are thinking about looking for a new insurance company, have your renewal documentation in your broker’s hands at least 90 days before the renewal/expiry date of your current policy. This gives them plenty of time to make submissions to their markets, for underwriters to consider your account, and for negotiation. This will put you in a much better position than if you wait until the last minute. Take the time to prepare a professional renewal submission. Make your insurance renewal submission comprehensive yet concise. You want the underwriters to have all the information they need to make a decision in a form that’s easy to read and understand, yet not be bogged down with unnecessary information. If a broker asks you to fill out an application, keep a copy so you can provide the same application to others who request similar information. No matter how cautious you are, accidents can still happen. The way that an accident is handled can greatly affect the outcome of any resulting claim. For example, if an injured claimant feels they have not been treated with respect and compassion, their resolve to be compensated may be strengthened. The potential damage to your image or brand can also be great if poorly handled incidents are publicized. 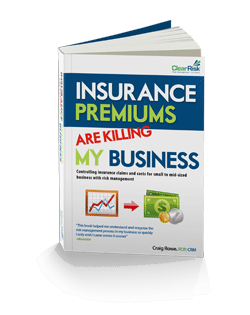 All information contained in this text is from Craig Rowe’s book Insurance Premiums Are Killing My Business! Controlling Insurance and Claims Costs for Small to Mid-Sized Business. For more information, visit ClearRisk's product page or contact us today! Improve you risk management today!